Our client’s original investment brief was to purchase an industrial investment in Sydney or the Hunter for under $3 million. Due to the lack of good opportunities and the low yields in these areas this client listened to Prosper Group’s advice and expanded their search area to include Brisbane. As a result they had more opportunities to consider from new buildings with long term leases on 7% net yields to older buildings with short leases on 9% net yields. They decided to purchase a higher yielding property with the knowledge that this high return is compensation for the additional risk of an older style building and short term lease. We thank Prosper Group for their diligent and professional approach in assisting us with purchasing a commercial investment property. Prosper Group really helped guide us through the ups and downs of finding, negotiating, analysing and successfully purchasing an investment that satisfied our requirements. Prosper Group’s experience and expertise kept us ahead of the market and helped us be competitive in a strong market. They also provided us with a diversified search covering all of NSW and QLD which ultimately led us to buy a property in Brisbane when we were originally only considering Sydney and the Newcastle region. 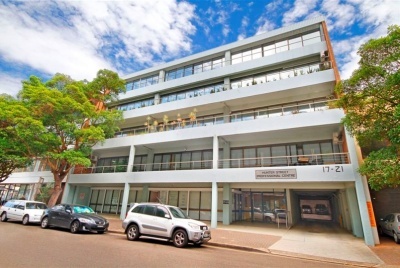 Although this was a new market for us Prosper Group made us feel comfortable with the area and the property and we achieved a better result than the properties we were considering in Sydney. We valued and enjoyed the education on industrial properties throughout the search, and appreciated the market background intelligence so as we could reassess our strategy in moving market conditions. We are happy to have Prosper Group as our property adviser and asset manager.